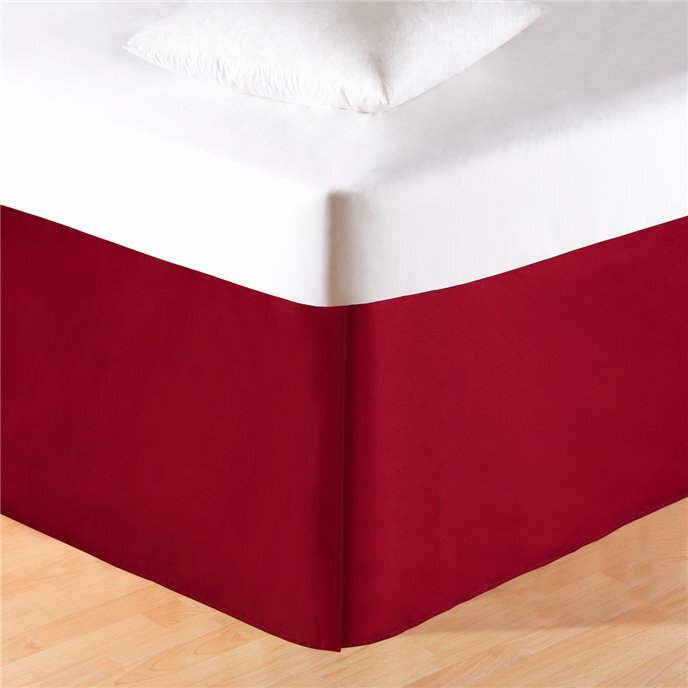 Solid red tailored queen split corner bedskirt. 60" x 80", with an 18" drop. Skirt made of 100% cotton; platform made of polyester. Made by C&F.